The spear has been a staple of the human arsenal almost as long as humans have been making tools––a sharpened stick is basically a spear, after all. While the material at the tip has changed throughout the ages, spears remained useful until the era of modern firearms. You can stab at enemies with a really long reach; you can throw a spear. It’s good for hunting and even fishing. It can double as a walking stick or can be used defensively like a staff. Some ancient Greeks got so good as jumping with really long ones that high schoolers have to do it forever in tiny shorts. 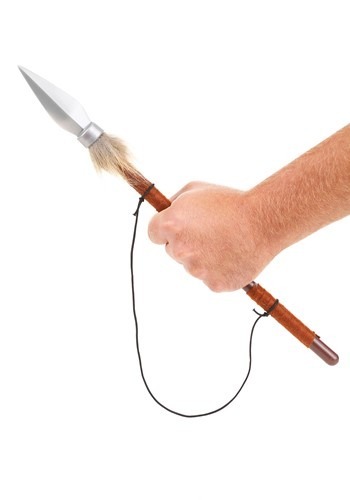 You probably have a dozen doohickeys around your house that have no real use, yet you probably don’t have a spear. Add a practical, classic implement to your household today. Just don't throw it at anybody! People tend to not like that.